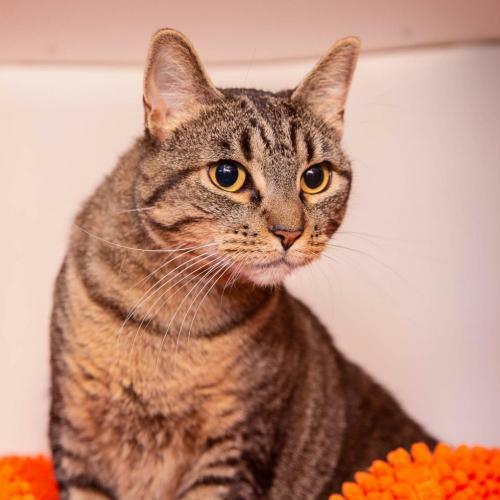 Hazel is such a sweet tripod cat! She's playful, happy, confident and loves being with people. Super friendly, cuddly and affectionate, she's bursting with love and would make a great companion. Lounging is her hobby, but she loves attention and follows you around the house on her 3 legs so cutely. This adorable girl would likely prefer to be your one and only.